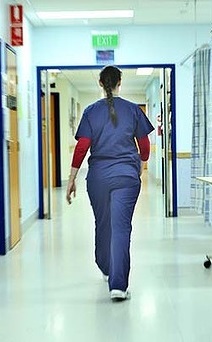 A new study has found that nurses are the most likely of all health professionals to die from deliberate drug overdose. Monash University’s Department of Forensic Medicine has gone over more than 400 drug-related deaths of Australian healthcare workers between 2003 and 2013, including among medical practitioners, paramedics, nurses, dentists, psychologists, pharmacists and vets. The highest number of deaths – 62 per cent of the total - were amongst nurses, followed by medical practitioners at 18 per cent. Most of the nurses were women. “Drug-caused deaths amongst healthcare professionals in Australia commonly involve females in their mid-40s, with a diagnosis of mental illness, personal and professional stress and the intent to self-harm,” the study found. Depressionwas diagnosed in almost half of those who died from intentional self-harm. But when the number of people employed in different parts of the health sector was taken into account, veterinarians emerged as the most at risk of a fatal overdose. About 37 health care workers die from drug overdoses each years, most of which were obtained illegally either by theft or self prescription. “Most of these vets involved intentional self-harm where they took an overdose of barbiturates,” lead author Jennifer Pilgrim said. “Until this study, we didn't know if drug-related overdoses were a problem in Australia. Previous studies have found healthcare professionals are often afraid to speak up about mental health and substance abuse issues, while also facing additional risk factors like stress, long working hours, self-medicating and access to controlled drugs. The experts say study shows the need to “consider improving the detection and management of drug-addicted and impaired healthcare providers” to prevent future deaths.